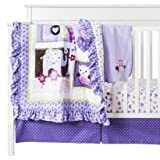 Be Tonka tough with you 4 piece toddler bedding set. 100% brushed microfiber is soft and comfortable. 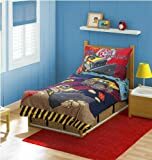 Allover print quilted bedspread (42″ x 58″) features your favorite construction bulldozer and dump truck. I’m all gears print pillow case (20″ x 29″) and flat (45″ x 60″) and fitted (28″ x 52″) sheet are included. Make your toddler room “tonka tough”. This adorable Cinderella Magic Happens bedding set by Disney, will surely make your little one’s dreams magical. Includes a comforter, top sheet, fitted sheet and pillowcase. Made from 100% polyester microfiber. Machine wash seperately in cold water, gentle cycle. Use only non-chlorine bleach when needed. Tumble dry on low heat. Iron on low heat when needed. The Rockin Boy Booger Monster is a cute rocking boy monster design that’s perfect for your little nose picking boy rock star child. Comes with 1 green removable, machine washable Boy Booger Monster tongue. The Rockin Boy Booger Monster is red, green & light blue and is holding a cool rocker guitar.